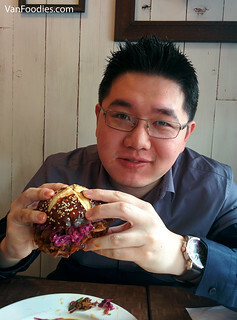 The tangy cola BBQ sauce was a bit sweeter than regular BBQ sauce, but not overly sweet. 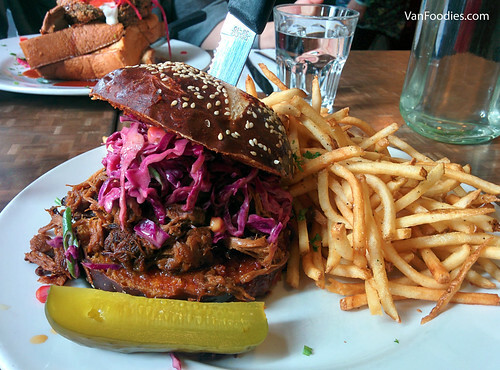 There was a generous portion of moist pulled pork and the firm pretzel bun helped hold everything together. Any bun would have fallen apart. The matchstick fries were good and plentiful. The sandwich was a big drippy mess but that’s just an indication of yummy deliciousness. 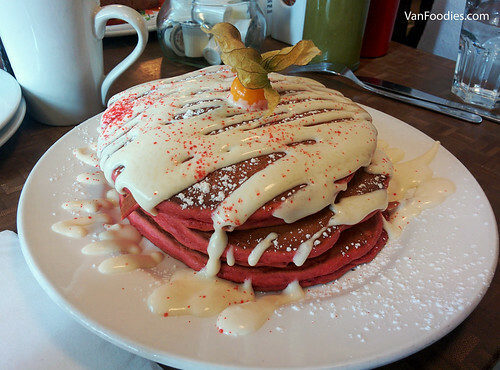 Even though I didn’t order the Red Velvet Pancakes, our dining neighbours ordered it so I shamelessly walked over and snapped a picture. According to them, it was really good, just like red velvet cakes, but really more like a dessert than brunch items. To this date, Mr. still thinks we should’ve ordered it. Perhaps we should. 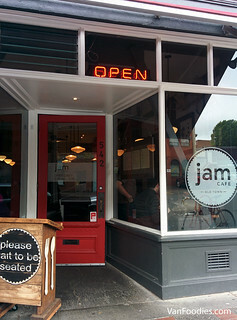 Jam Cafe reminds me of the old Medina Cafe, located in an area that’s full of characters and is frequented by hipsters. It also doesn’t accept reservations. 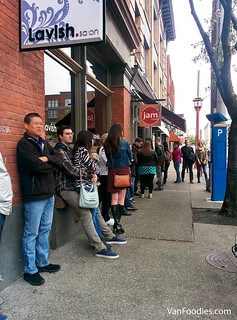 It was a non-holiday Monday morning and we still waited for 40 minutes. Looks like it’s popular among locals too. 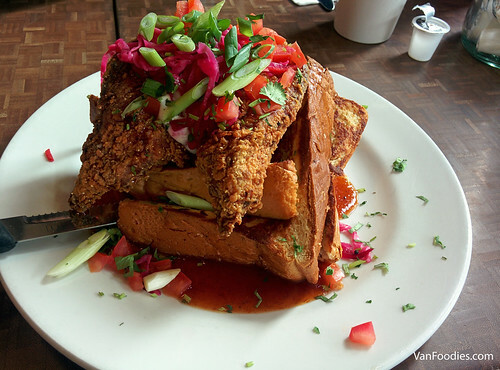 The dishes here are well executed classics with a twist. 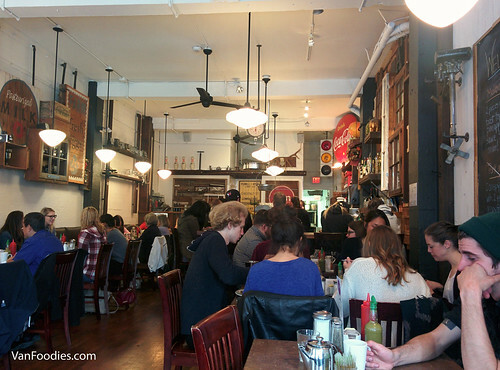 It’s definitely one of the best brunches I’ve had in the last little bit. I’m still not so thrilled about the lineup, but I would go back for the food!